This is the mood board that represents our audience profile. On here we have all sorts of things that relate to the band and what the band like. 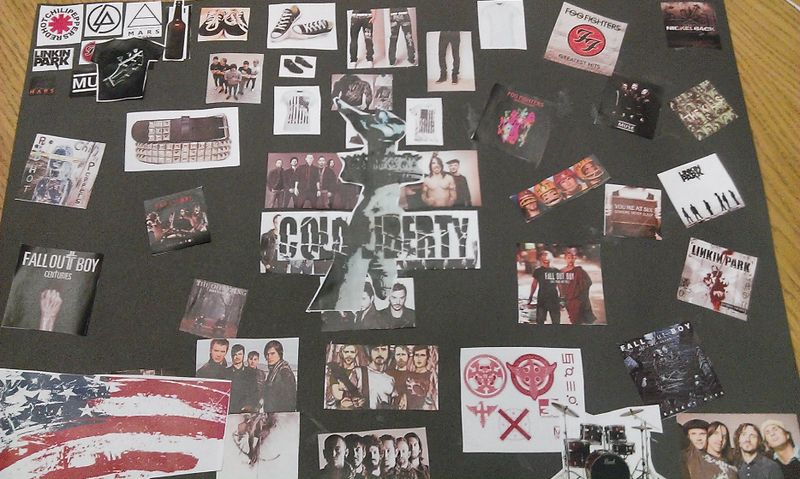 For example we have and American flag on the mood board since we are meant to be a patriotic American band. We also have pictures of bands that we said we were influenced by to show what we wish to end up like. We have clothing as well to show the attire that we would wear.